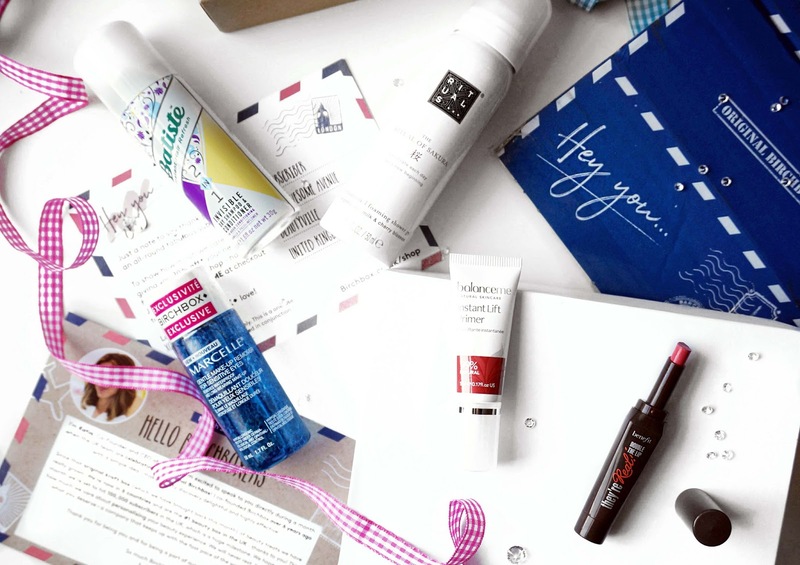 This month Birchbox contains 5 personalised beauty products from around the globe. 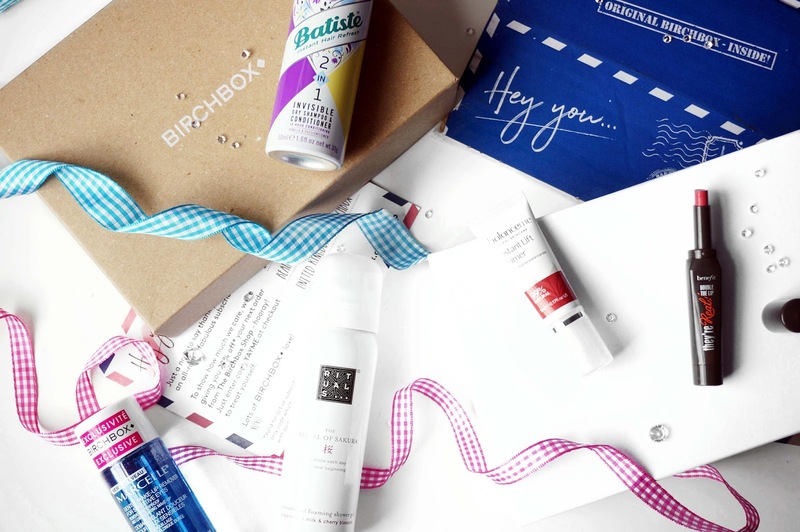 We see the return of the original Kraft box as Birchbox celebrates hitting 100,000 subscribers. If you didn't know, Birchbox is a subscription which costs £12.99 a month including P+P based on your profile that you create. 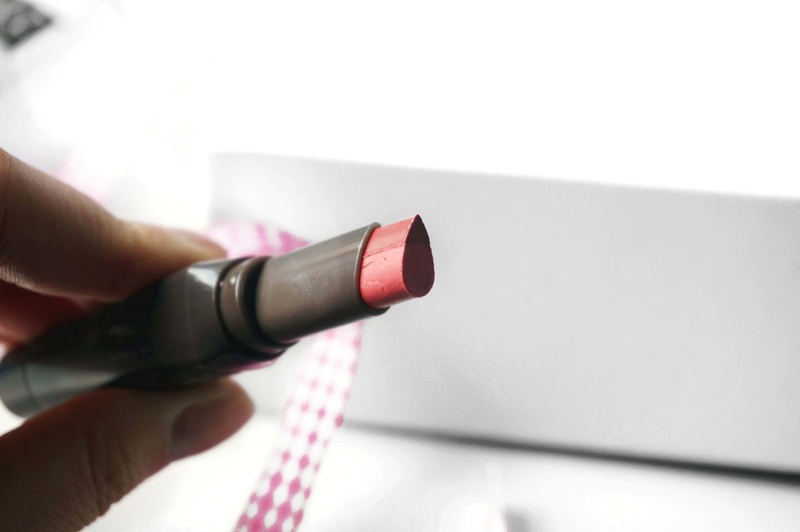 Getting right into the post, one of the highlight beauty product is the Benefit They're Real Double the Lip which we had the option to chose the shade. 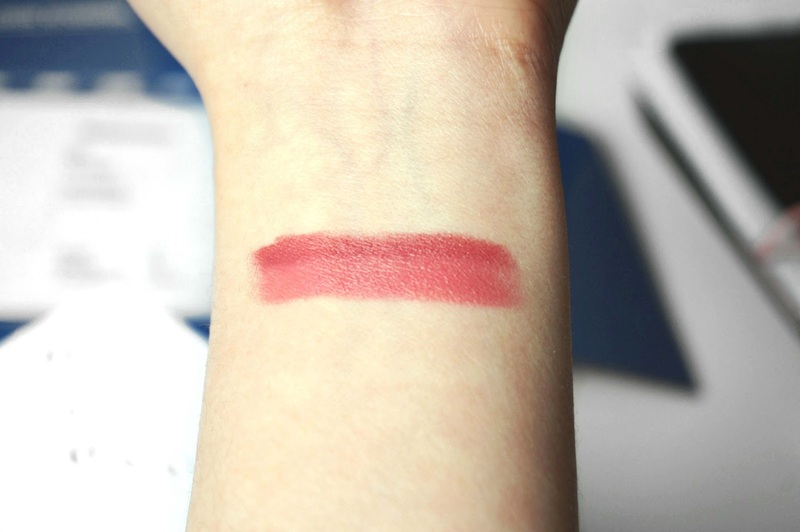 I opted for Lusty Rose a beautiful warm pink colour. 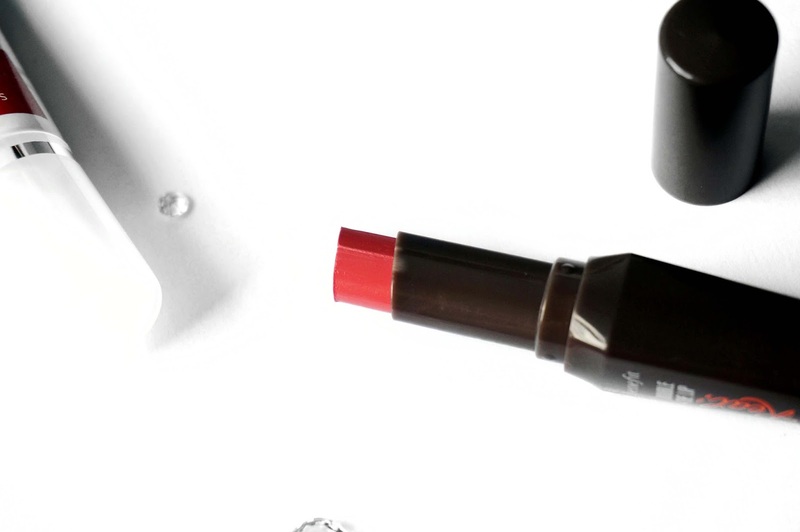 The double the lip has a tear drop shape and contains two shades, the top being a lip liner to line your lips and a long lasting lipstick at the bottom. Personally, I already have full lips and tend to stay away from products that make my lips look plumper. I have to say it does do the job of creating a fuller lip and it glides along smoothly but it makes me look like I have duck lips. The next item is the Balance Me Instant Lift Primer, which is to blur out your pores for a smoother base, it also contains hyaluronic acid which hydrates your skin. I'm excited to try out this product especially on my cheeks since I have larger pores there. It has a strong baby wipe scent and claims to help tighten your skin too. The next item is a body product, the Rituals Sakura Foaming Shower Gel, I absolutely love the Sakura range from Rituals especially the magic body cream they smell divine and the scent lingers on your skin. I already have this and I will be keeping this as a backup. The Batiste 2 in 1 Dry Shampoo & Conditioner is included in this month Birchbox. I love the Batiste dry shampoo range as it refreshes my hair in between washes, this one claims to refresh roots and nourish dry ends which I will need to experiment more. Lastly is a Birchbox exclusive item, the Marcelle Make Up Remover. I've used Marcelle beauty products before such as the eyeliner which does a really good job lining my upper lashes. I only use an oil cleanser to remove all my makeup at once but I will save this for when I got travelling. It's one of the products that you have to shake well. This cleanser claims to soothe and depuff as it contains cucumber and green tea. That is all for my March Birchbox, I hope you've enjoyed this post, I feel like these products are getting me ready to go on holiday, what have you recovered in your Birchbox this month? if you want to try Birchbox subscribe here. Thank you for catching up with me!